Menu - Meat me at Doe's! 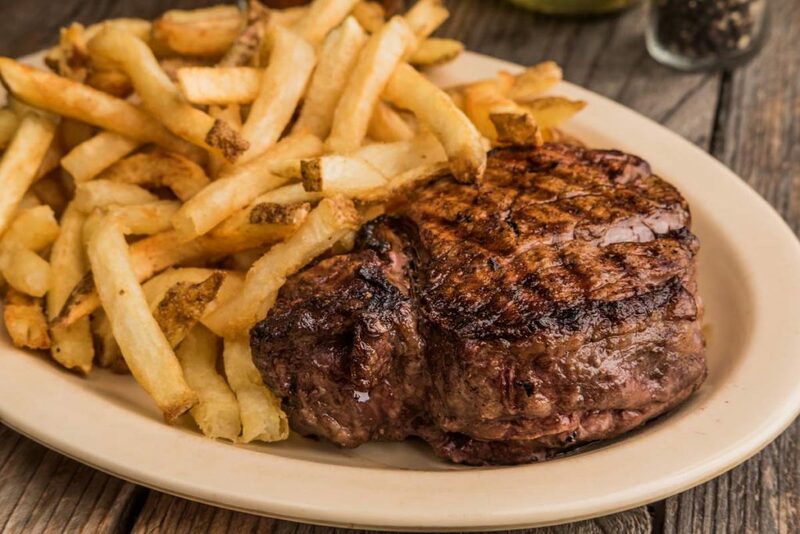 Our steaks are cut fresh daily from whole beef loins. Each loin is aged at least 21 days to bring out all of the flavor a fine cut of beef has to offer. Because we cut all of our meat fresh daily, instead of buying pre-cut, frozen meat, it is possible that all cuts and sizes may not be available all of the time. This allows us to provide you with the highest quality, freshest beef possible. 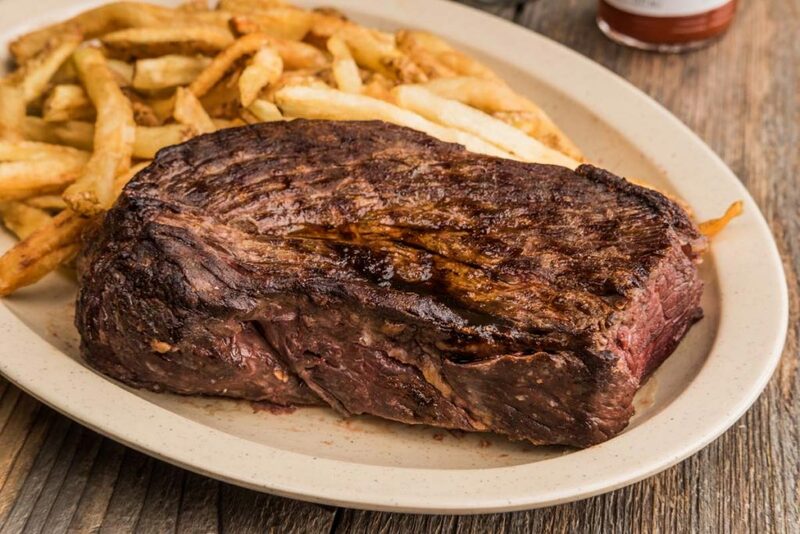 Our steaks here at Doe’s are cut much thicker than at most other restaurants. 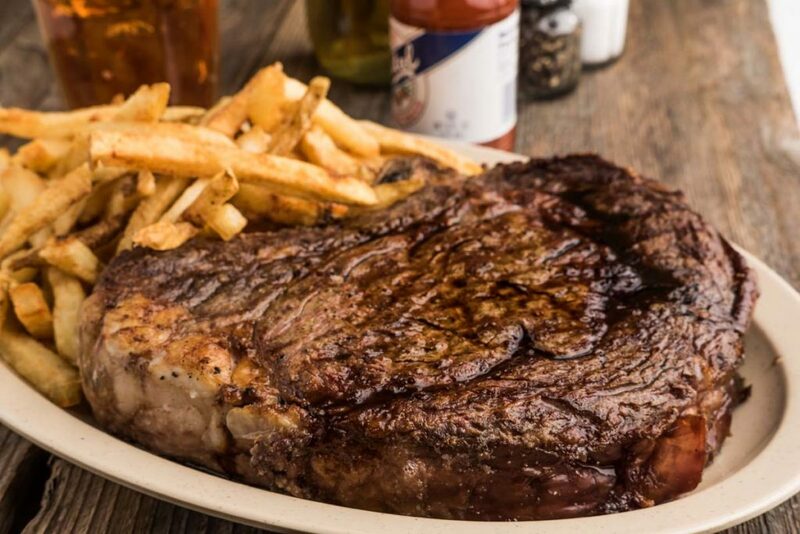 After our Grillmaster places your steak on our special broiler, please allow yourself time for our staff to prepare one of the “Great Steaks of the South”. RARE Cool Center/ Red Throughout Approx. 25min. MEDIUM RARE Warm Red Center/ Pink Edges Approx. 30min. MEDIUM Pink Throughout Approx. 35min. MEDIUM WELL Hint of Pink in Center Approx. 40min. WELL DONE No Pink / Not Recommended Approx. 45min. 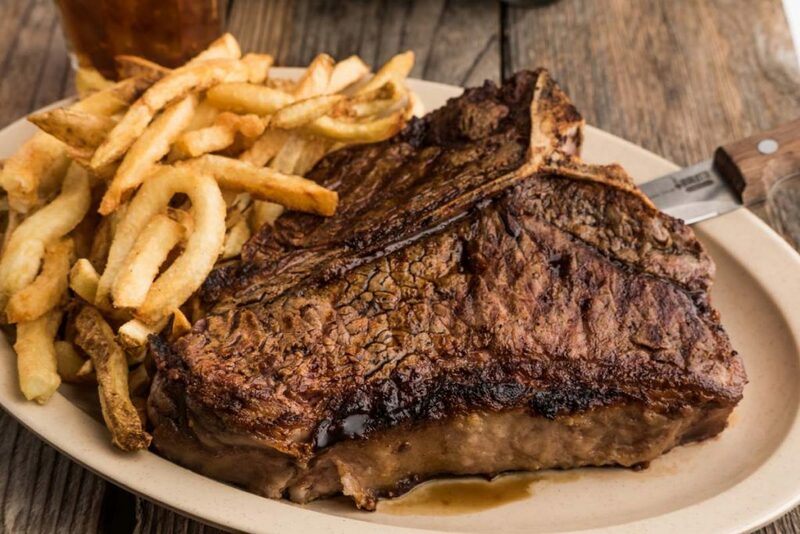 Most of our steaks are big and thick enough to be shared. We recommend at least 1 lb. per person. We can cook any Porterhouse or Sirloin lbs. or over two (2) different temperatures. T-Bones and Filets can only be cooked to one temperature. 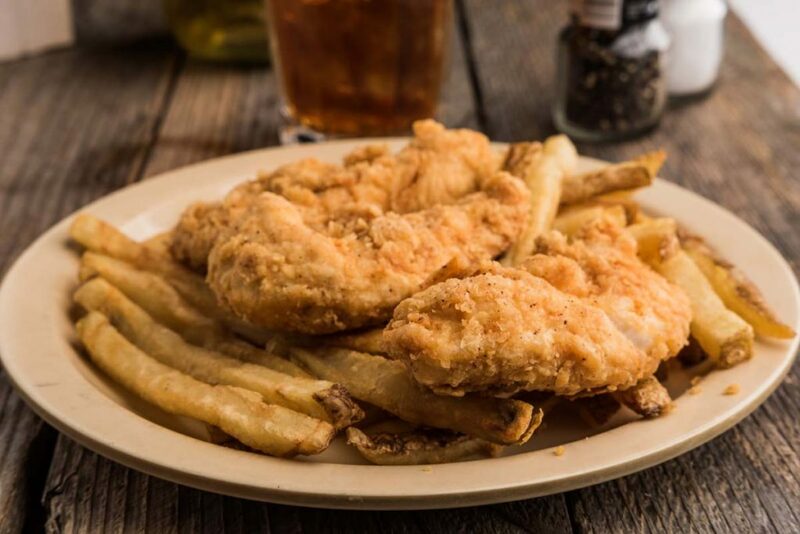 All of our entrees are served with Doe’s marinated salad, your choice of boiled red potatoes or fresh-cut fries and Southern style drop-biscuits. 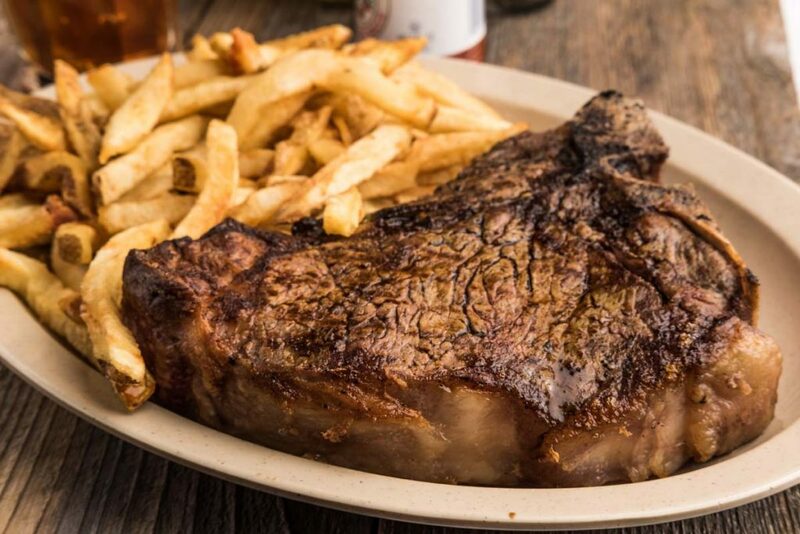 Available in 1 1/2, 2 and 2 1/2 pound cuts – our signature steak. Cut from the middle portion of the loin, the Porterhouse contains a “T” shaped bone separating the larger strip side from the succulent filet side. This strip & filet may be cooked to different temperatures on the 2 and 2 1/2 pound cuts. Available in 1 1/2 and 2 pound cuts. The first cut from the loin, the T-Bone is a mainstay of every fine steakhouse. Perfect for people who want their own steak. The T-Bone may be cooked to any single temperature. Available in 2 and 3 pounds cuts. The last cut from the loin, this enormous boneless steak has a delicious flavor & is great for sharing. We will be happy to cook any sirloin to two different temperatures. A thick, hand-cut medallion of succulent aged beef tenderloin. This massive ”cowboy cut” bone-in-steak is highly marbled and packed with flavor making it a favorite of steak lovers everywhere. The ribeye may be cooked to any single temperature. 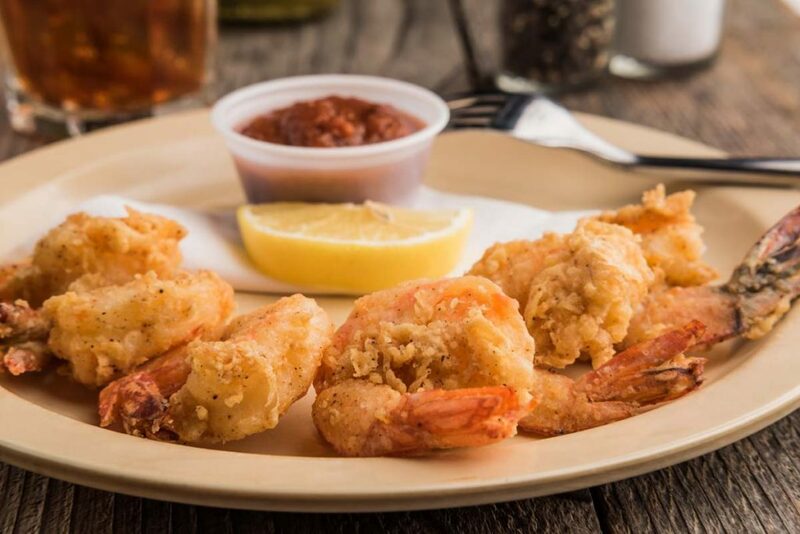 Choose between either of our Large Gulf Shrimp dinners or try some of both. Served with (2) sides, green salad, and bread. 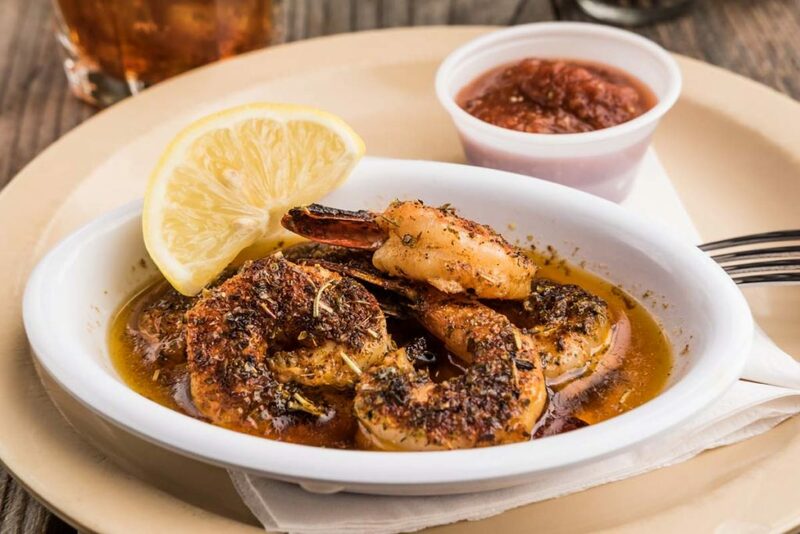 Broiled – Seasoned either Doe’s secret blend of spices and broiled to perfection in seasoned garlic butter. Fried – Lightly hand battered Doe’s unique way – they fry up beautifully to a flaky, golden brown. Golden fried, broiled, or blackened chicken tenderloins. Served with (1) side, green salad, and bread. This is where it all began. We make our all beef tamales from Doe’s original recipe. 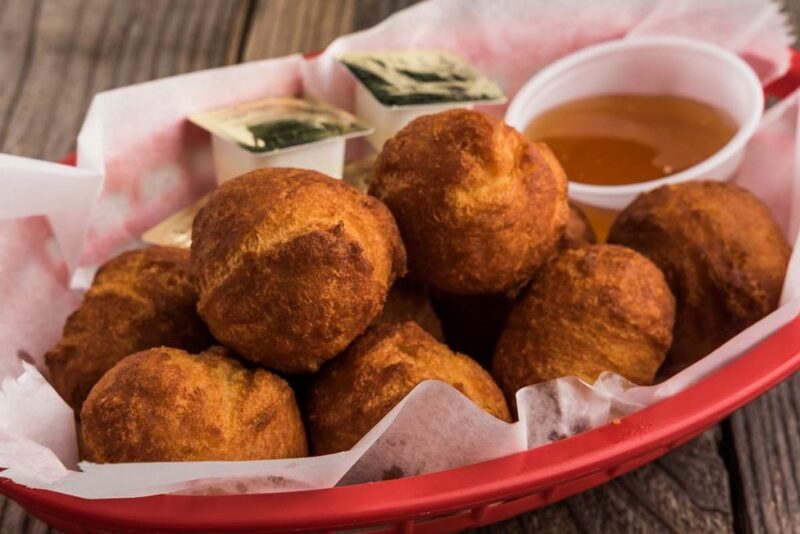 Made the same way since 1941, they are a true taste of the Mississippi delta. 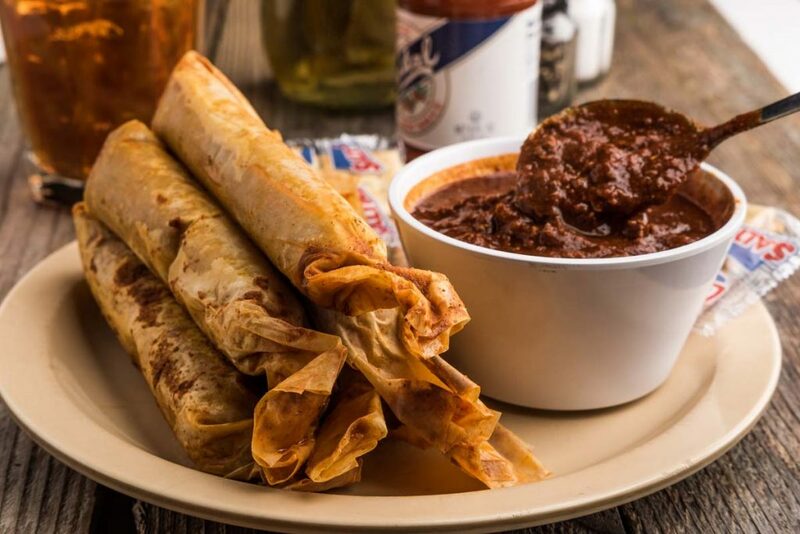 Served with a cup of our homemade chili. Seasoned with Doe’s secret blend of spices, broiled to perfection in golden garlic butter. Lightly hand-battered Doe’s unique way. They fry up beautifully to a flaky, golden brown. Order by the 1/2 dozen or dozen. 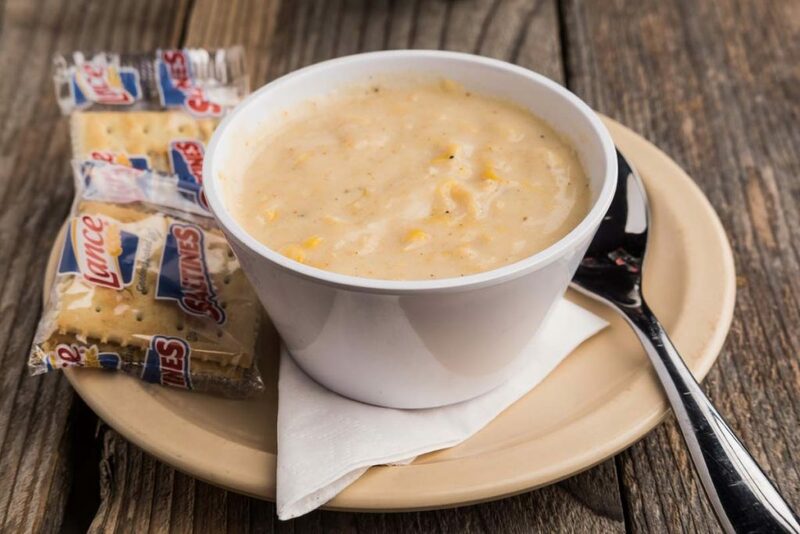 A rich and creamy bisque, made from ”scratch” with plenty of real, lump crab meat. Another one of Doe’s own recipes, we perfectly season and slow cook fresh vegetables, smoked pork sausage, crab and rice in this hearty tomato-based gumbo. 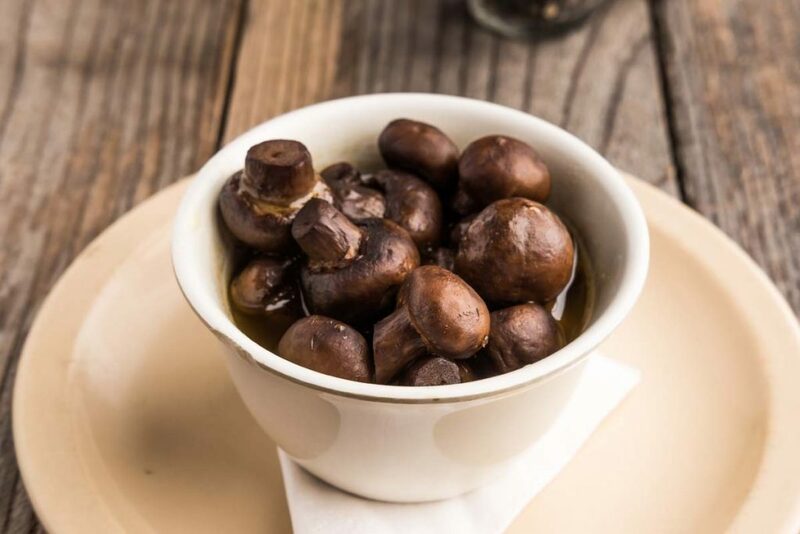 Fresh button mushrooms, sauteed to bring out all of the flavor. The perfect compliment to our steak or as an appetizer. 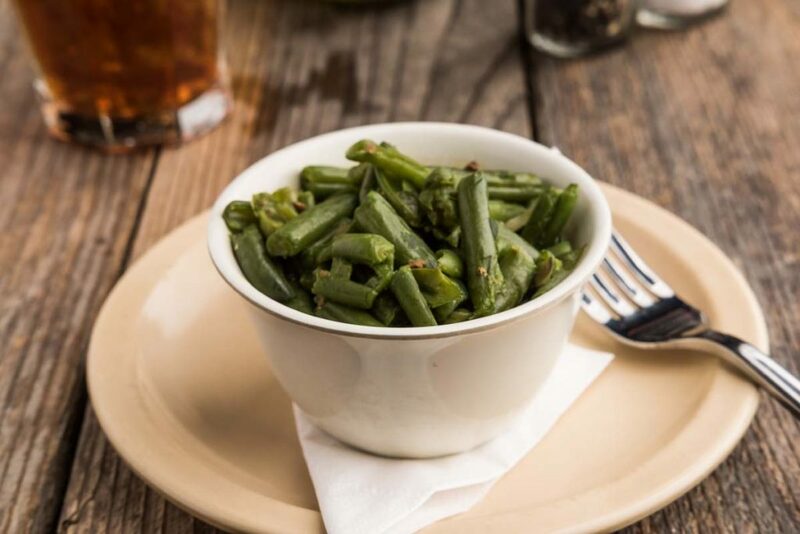 We slow cook our beans with smoked bacon ends to give them an authentic southern flavor. (8 oz.) Boiled red potatoes served with butter and sour cream. (8 oz.) 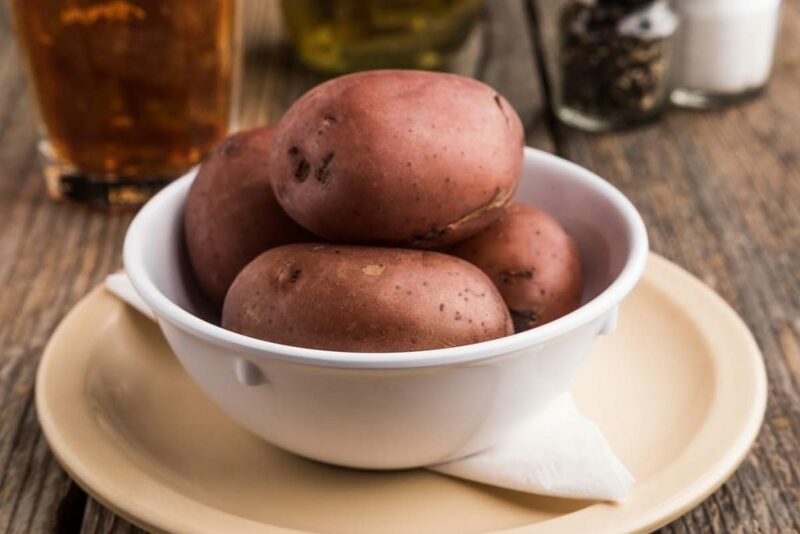 A healthier starch option. 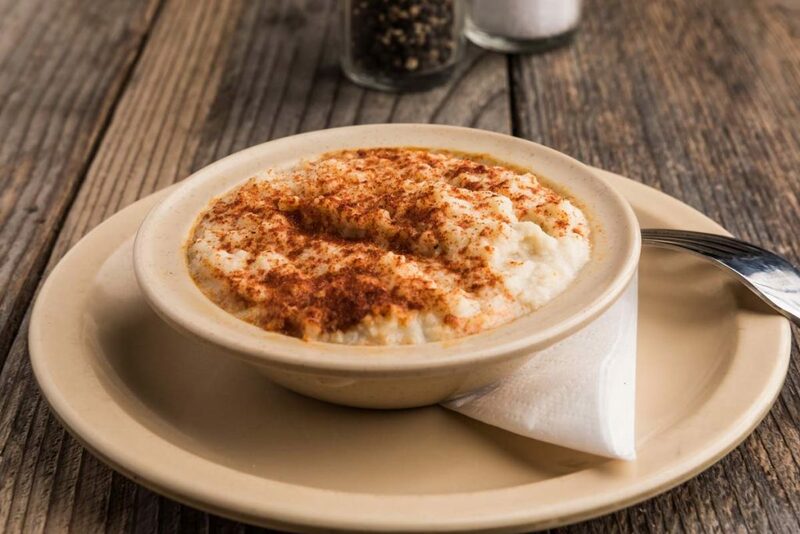 Delicious and creamy mashed cauliflower with a hint of Garlic and fresh Parmesan. – the perfect blend of olive oil, lemon juice and garlic. 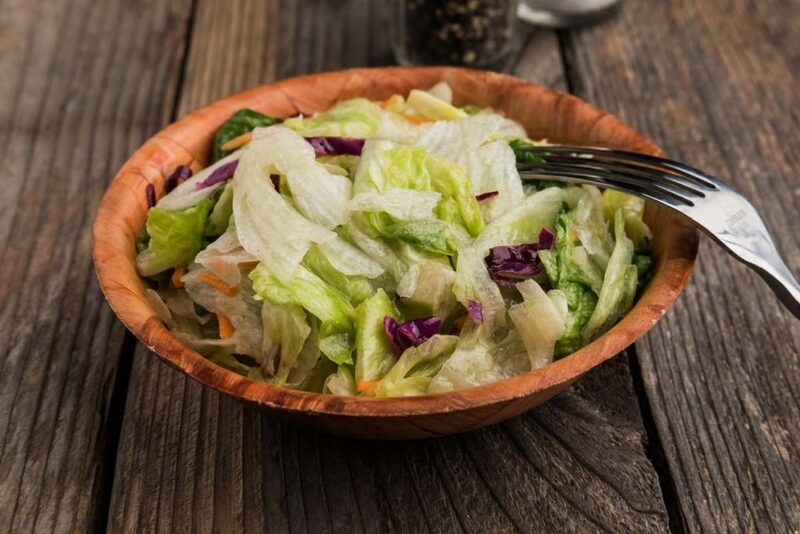 No dressing needed. (6 pc.) A delicious traditional Delta flavor. Served with butter and golden honey. (3-5 oz.) Beef tenderloin end cut. Served with fries or mac and cheese, green salad, and bread. (2) Fried or broiled chicken tenders. Served with fries or mac and cheese, green salad, and bread. (2) Fried or broiled chicken tenders. Served with (2) sides, green salad, and bread.